What do you know…she’s mine too! To quote Bert, "It's true that Mavis and Sybil have ways that are winning and something and something will something something spinning…"
And Prudence and Gwendolyn send your heart spinning! "…and something Mary Poppins something tuppence something There we stop!" 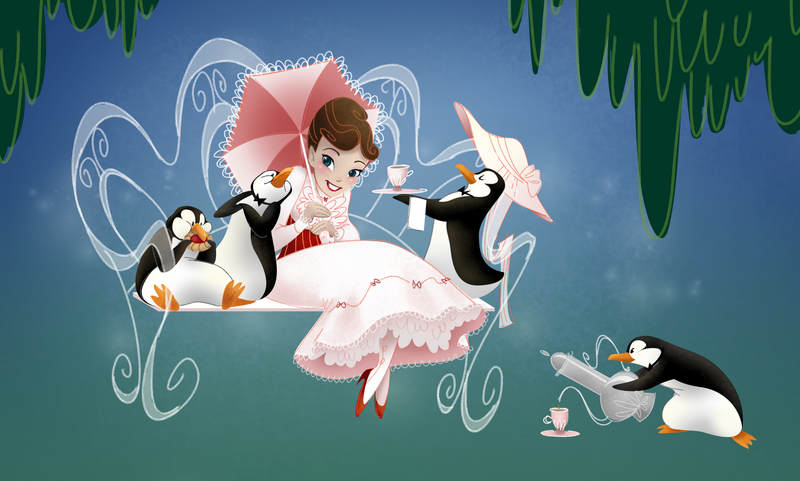 Love the penguin on the left, by the wayy. "Cynthia's dashing, Vivian's sweet, Stephanie's smashing, Priscilla a treat…"
Love the image. Also? I just ran into Thomas Wright at a book signing and saw your work in "The Fisherman's Catch" for the first time. Absolutely loved the art, thought I'd look you up online. Love the blog, wish you well. 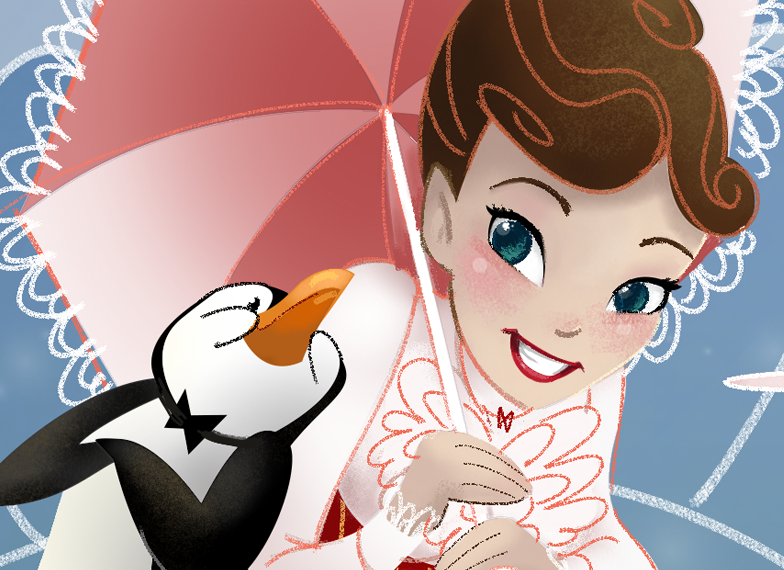 I'm such a big fan of your Mary Poppins illustrations! It's always a treat when you release a new one here on your blog. Smashing work, my friend! I love the enthusiasm with this piece!! This is a fantastic piece! I love the whimsical feel and expressions very much.